Wouldn't it be wonderful if bacon were healthy? Although that will never happen, Dulse is a species of algae native to the Pacific Northwest coast that when prepared properly tastes very much like pork belly. This algae has been consumed by people for thousands of years in parts of Scandinavia, but up until recently it hasn't been on the forefront of modern food research. It is also two times healthier than kale. Chris Langdon, a research at OSU's Hatfield Marine Science Center, has worked with colleagues to create a specific strain of the algae that tastes like bacon when it's fried, according to KPTV. 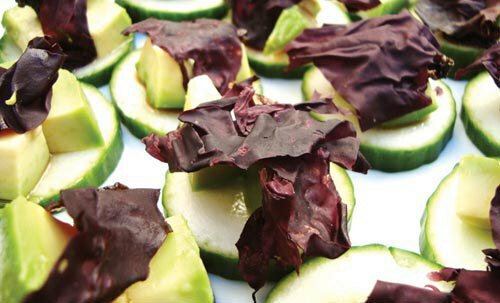 Although Dulse is not yet on the market across the country, you can order the non-processed version online here.